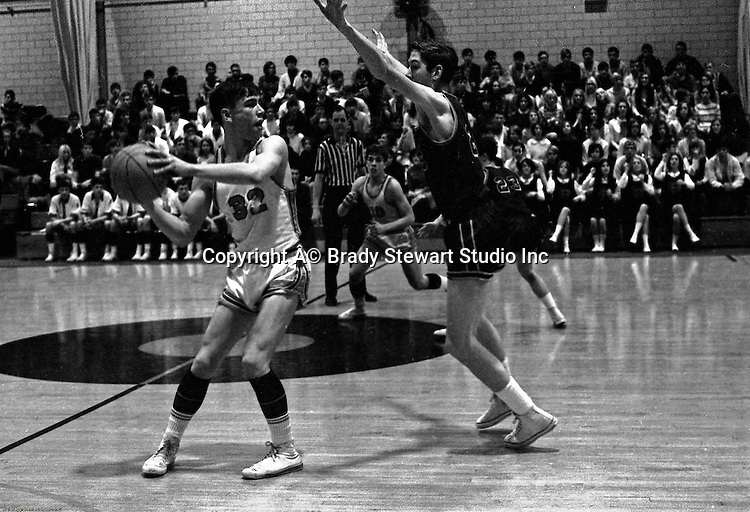 Bethel Park PA: Scott Streiner breaking the press against the Mt Lebanon Blue Devils at Bethel Park Gymnasium - 1968. Scott Streiner passing the ball to Steve Zemba, Mike Stewart in the background. The JV Team was coached by Mr. Reno and the Bethel Park JVs won the Section Championship. The team included; Scott Streiner, Steve Zemba, John Klein, Mike Stewart, Bruce Evanovich, Jeff Blosel and Tim Sullivan.